Frederick Sommer spent three months traveling in Europe in late 1960. The title of this photograph, "Capitoline Museum," comes from the name of the museum in Rome where this statue is located. 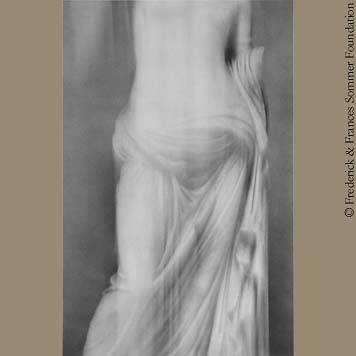 Using a 35mm Leica, Sommer moved the camera straight down during the 1/5th second exposure, adding elemental action to the statuary.